Water features, fountains and ponds, as well as live stream beds all fall under the general heading of “Water Features”. These all serve as both a source of aesthetic appeal, as well as sound appeal. And, as such, they serve as a source for “grounding”. The appeal of water features is also an energetic one. These become a means for us to shift our personal energy. They serve to defray the frenetic nerve and physical wracking we experience in our day to day lives. 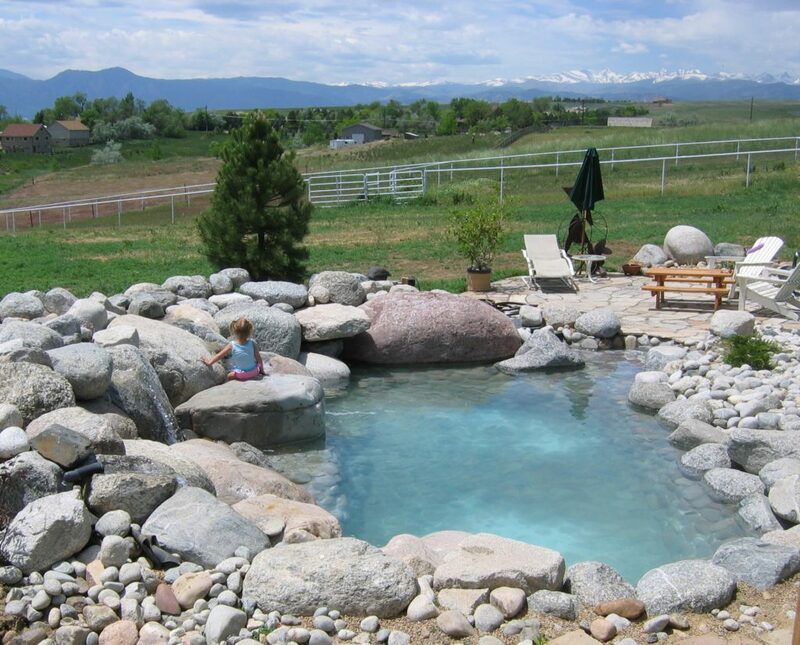 Water Features have a natural ability to unwind us from the stress and tension we build up within ourselves. It’s small wonder that people vacation, or even spend a day, alongside the ocean, a lake or stream. The movement and sound of water connects us with the deep, healing energy of nature in ways that only water can. 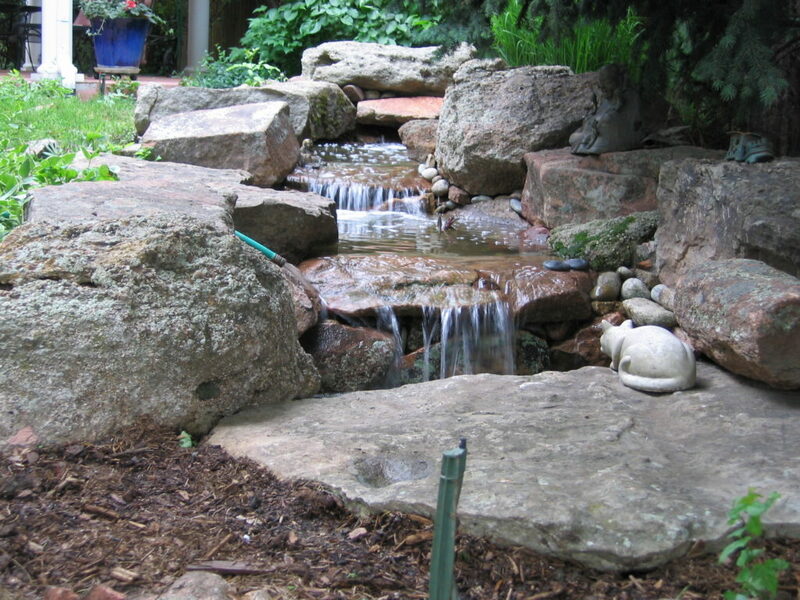 Personalizing a water feature to fit your space and intention is extremely important. Attempting to fit something too large for an area will overwhelm the space and feel obtrusive, rather than a benefit. Adding a water feature that is too small for the space leaves us actually straining to hear the sound, to enjoy the energy. As well, the volume of water can be too much, or too little to fully serve as a means for grounding and calm. 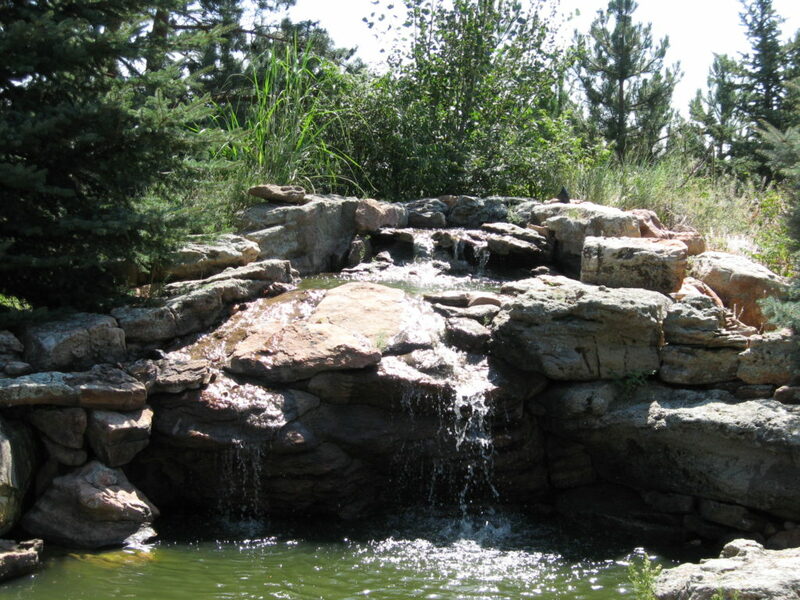 Location and direction of flow are equally important in placement of water features and the benefits received from them. I’ve found it all too common to be invited in to upgrade a feature, previously installed, that just isn’t giving the homeowners the effect they were hoping for. All too often one of the first suggestions I have to make is to rebuild or turn the flow of the water. This in order that it send its effect and sound toward the direction that it will most likely be observed. The location in a yard is also determined by the observation point. It serves no one if in order to enjoy the sound of the water we have to purposely drag a chair out to the source. Keep in mind multiple observation points. 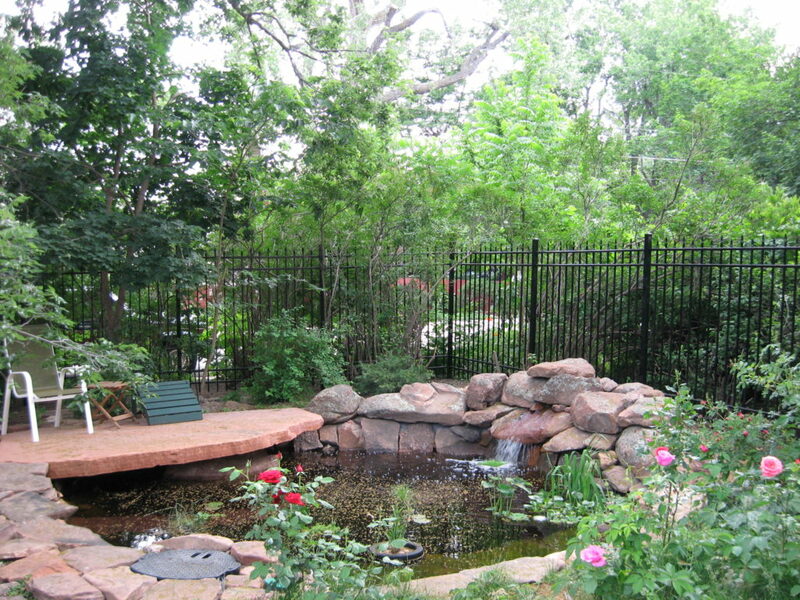 I once reinstalled an existing water feature so that the main falls and sound were facing the adjacent patio, as well as the second story kitchen window and the third story bedrooms. 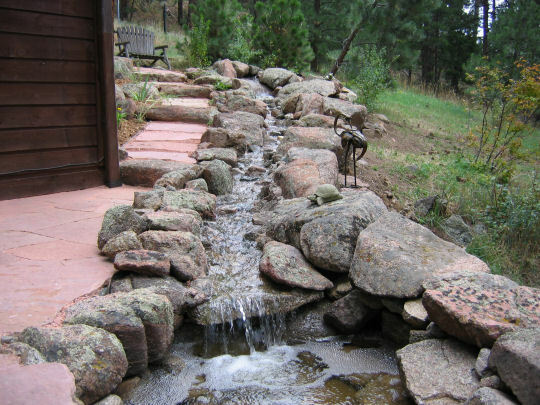 The rock and materials chosen for a water feature should be selected to reflect the local conditions, the effect we are attempting to create, and the function of the device. Keep the natural appeal, as much as possible. 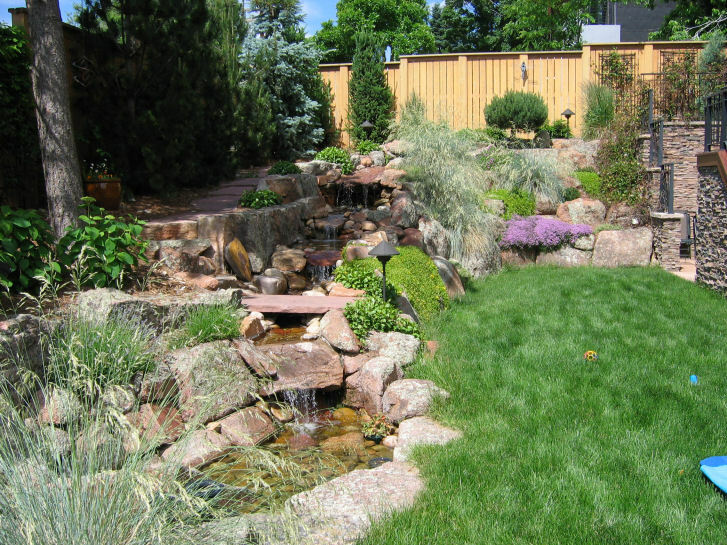 A simple pond, pondless water feature, streambed, swimming hole, or spring should appear as naturally occurring as possible.